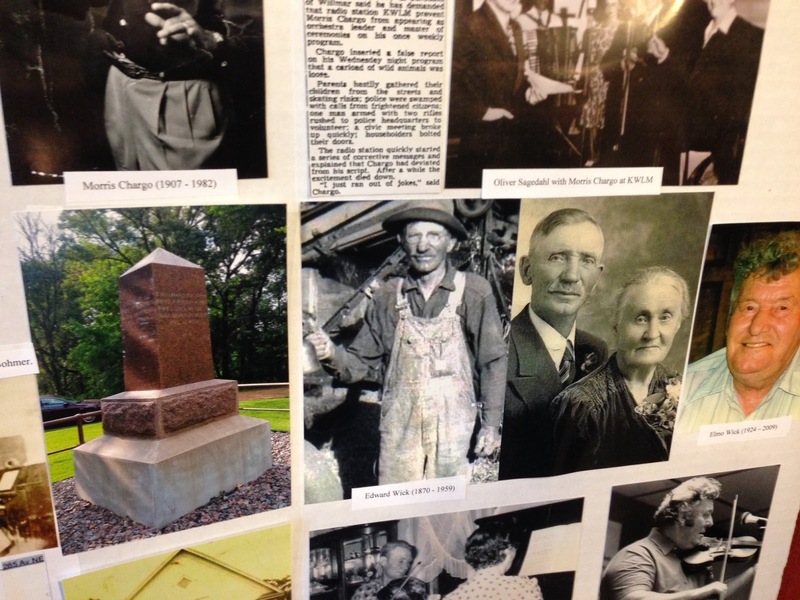 Walter Sigtermans was the main researcher for the Minnesota State Fiddle Association’s "Crow River Country" fiddler’s project that was just completed. This was the culmination of grant work spearheaded by the association’s president, MaryPat Kleven. Walter gave presentations at each of the three concerts and tune workshops. I wanted to make sure I caught up with Walter and asked him questions about his research while it was fresh in his mind. It is a lengthy interview, but has been left intact as this is a under researched subject. 1) What led you to help out with the Elmo Wick project and go to "Crow River Country" to do more research? Well, first off, you (interviewer) did. 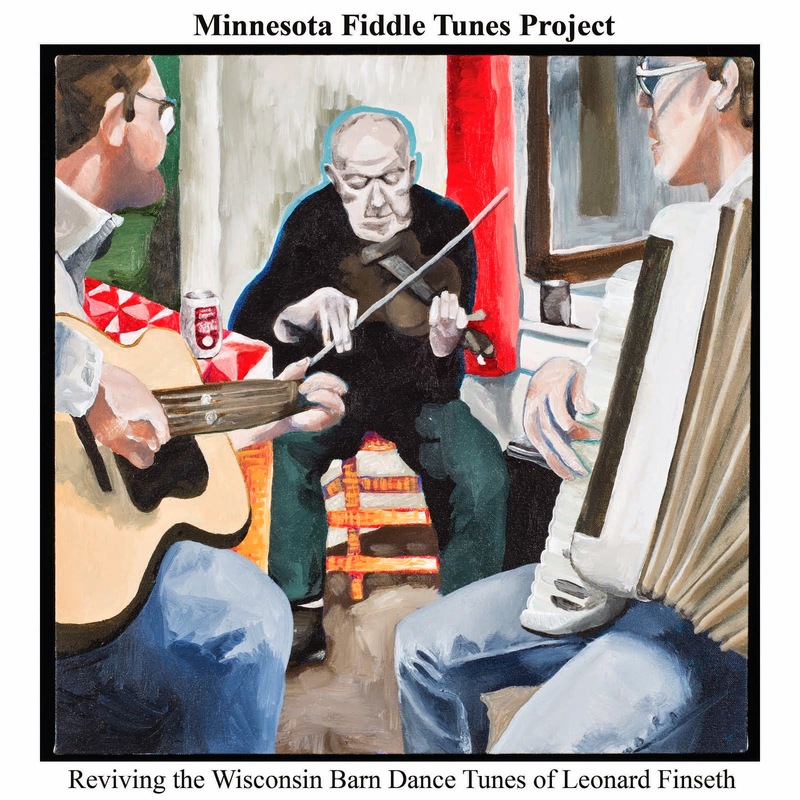 Four years ago you and Annabelle taught a piece called "Old Red Barn" and talked about heirloom fiddle tunes which were passed down from father to son. That was the first time I had attended a Minnesota State Fiddlers Association meeting. I had learned to play "Old Red Barn" on the fiddle from my grandfather (pictured below). So, you immediately had my attention. 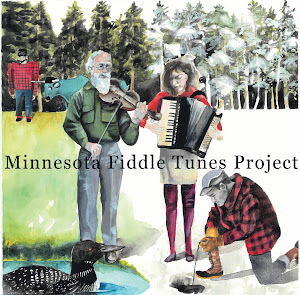 Heirloom fiddle tunes are something I can easily relate to. You were talking about what I had experienced, but had never recognized. Walter's grandfather, Louis Curtis, of Manitoba. My fiddle-playing grandfather operated an organic wheat farm in Alonsa, Manitoba. My dad was a mechanic for Northwest Airlines and we could get airline passes for dirt cheap. I grew up in Hastings, Minnesota but when I was 14 - 17 years old, I flew up to Winnipeg one weekend a month to take violin lessons from Grandpa, and listen to stories from my great grandmother. During the summer I would spend the month of August on the old homestead in Alonsa doing chores and getting violin lessons in the evening. So, I got an early appreciation of history - through stories and songs. I also had the experience of living and working on a farm during the summers (I was the seasonal labor from south of the border). My great grandmother's quarter section had an old log cabin (built 1902) which still had a wood burning stove, and the farm was like a museum of old farm implements. I have spent most of my life living and working in Minnesota, yet there are parts of this place, which I call home, that I am completely unfamiliar with. This project gave me an opportunity to learn what it means to be a "Minnesotan." 2) What was it like talking to the families of these fiddlers? For me it was really hard. I am an introvert, so the conversation process does not come naturally. There is a certain skill set required to be a good interviewer - and I don't feel that proficient at it. You need to have an objective, yet be willing to explore the unexpected topics - preferably without long periods of silence. The hardest part was making that first contact. In this political season I didn't want to be dismissed or ignored before I could ask my (very specific) questions. I settled on sending a copy of their ancestor's tunes along with a hand written letter a few days before I tried calling them by phone. 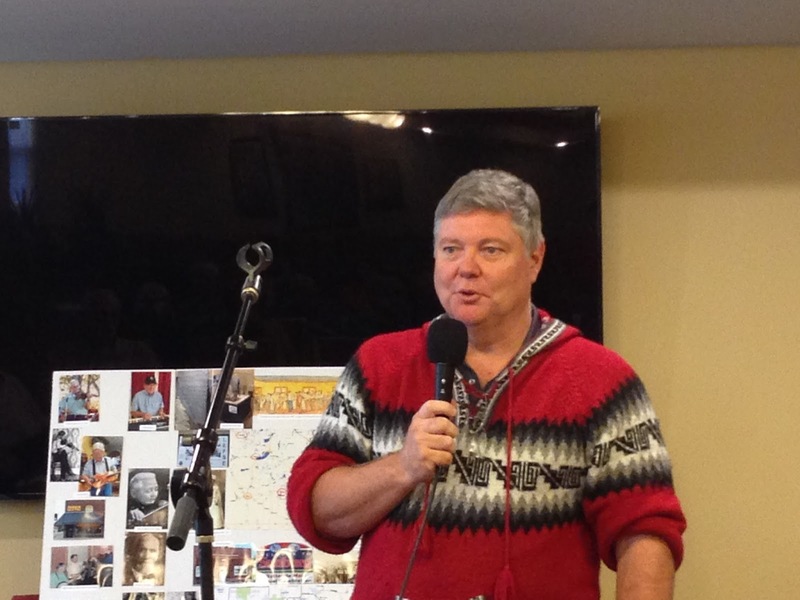 Gordon Jorgenson was great. He knew a lot of family history, and he had really loved his grandfather. I think it tickled him that someone was interested in Olaus, and it tickled him even more that Olaus had his own fiddle tune. Gordon had so much Jorgenson family information I had to keep myself disciplined about what my objectives were. Both interviews were with non-musical people who had inherited handmade family heirloom instruments. Gordon owns a fiddle his grandfather had made in 1942. Joan owns a hardanger that her great grandfather, Elling Sagedahl, made in the 1890s. It was a thrill to handle and photograph such treasured works of art. Pictures of the Wick family on Walter's presentation poster board. Yes, if you have enough time and know where to look. I saw Ole Flolo's house, Olaus Jorgenson's house, the Sagedahl homestead. The granite and timber structures built in Sibley State Park by the VCC in the 1930’s were really impressive. You can still see the outline of the Broberg log cabin (site of the 1862 massacre) in Monson Lake State Park. I found the site of the Henschien homestead (and a marker where the farmhouse once stood). Oliver Sagedahl's daughter, Joan, was a different experience. She apologized for not having more pictures of her father's family. She did not need any forgiveness, least of all from me. The key information from Joan was the correct spelling of "Morris Chargo." Elmo had written "Morris Cargo" so I could not find anything about that very colorful character until I talked with Joan. She also provided some much appreciated photographs of her father. Ken Amundson was also fun and challenging in his own way. I had so much to ask that I didn't know where to begin. I saw him on a weekend where I had already learned so much that I was already at or near capacity. He was also planning to go on a trip as soon as we finished talking. He had cassette tapes, but no tape player so we sat in his van and listened to them there while it rained. I also liked seeing one of Elmo Wick's fiddles in his shop. One thing I found helpful after all those interviews was to stop, sit, and write everything down while it was still fresh in my mind. Later I kept going back to those notes as I tried to piece everything together. 3) Did all the fiddlers hang out together and play at joint gatherings? Yeah, but I have two answers to this, because I have been looking at two timeframes. There was the period of 1890 - 1940 which was the age of Elmo's youth and the heyday of his mentors. Second, there was the period of 1970 - 2009 which was the era of nostalgia and old-time music revival. I have been more interested in that first time-period and in those mentors who taught Elmo their craft. During that 1890 - 1940 time frame we are talking about house parties and dances. Music was not an end in itself - it was there so people could dance. Young Elmo was, first and foremost, a dance fiddler. The fiddle music of that time was much more public. People were not "specialized" players. 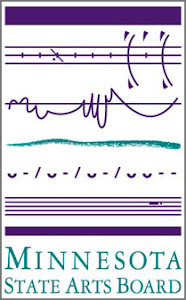 At that time fiddling was not about performance, it was just something everyone did. Look at that neighborhood map and see how many farmers played these fiddle tunes. So, yeah, there was that colored pencil sketch from the MNHS of an 1890 Norwegian house dance (see below). There was also a newspaper clipping which Elmo had amongst his music of a dance at Norway Lake in 1901 (see below). I got a much better appreciation of dances and dance music. During the most recent August MBOTMA festival I spent a fair amount of time in the dance tent, stepping and moving to the beat. I think it is pretty cool that the Hardanger Fiddle Association of America teaches both hardanger fiddle AND Norwegian folk dance. I may spend more time at the Nisswa Stammen festival next year picking up dance steps. During that second time-period (1970-2009) it was mostly jams. By that time radio, television and the internet had changed music. Music was now everywhere... in elevators, dentist offices and on your telephone when you have to wait. Playing music was now something that was for specialists (professionals). There were jam sessions like "Little Joe’s Barbershop" in Fargo, ND or "Cliff Hanson's Brooten Barbershop" in Minneapolis, but live amateur music became a private thing, which was not good enough for general consumption. 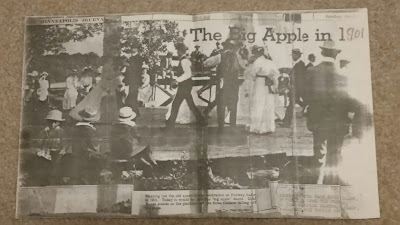 1901 dance in Norway Lake, MN. I guess I saw that played out with my own grandfather. Grandpa learned to play fiddle on an instrument that his father sent him from England during WWI. My great-grandfather had been in the Canadian Expeditionary Force and died in Amiens, France in 1918. So, my grandfather taught himself how to play. When he moved into the big city of Winnipeg in the 1930s he was viewed as a country hick. His playing-by-ear anything-goes fiddling was not good enough, so he unlearned everything he had taught himself and started all over again. He eventually got good enough to play in the Winnipeg orchestra, and could drive his son-in-law (my father) out of the house each time he started playing one of Paganini's caprices, but Grandpa still enjoyed listening to Don Messer. 4) Is there any remnants of the scene left today? I drove past Ole Rime's homestead. The house has since been torn down and replaced with a new home. The barn might still be original though. I climbed up Mount Tom and later that evening stood on the dock on Lake Andrew, watched the fireflies, and listened to the loons. But, I have a full time job, so... I did not visit the island on Norway Lake where settlers spent the night during the 1862 Dakota Wars. I never did check out the Wick and Wiig farmhouses. There were a lot of little old Lutheran churches. I photographed the outside of a few of them, but I would have liked to look a bit longer. I never stopped into the café in downtown Sunburg. There are probably a dozen other places which I still don't know about. 5) Who seemed to be the most significant fiddlers and why? 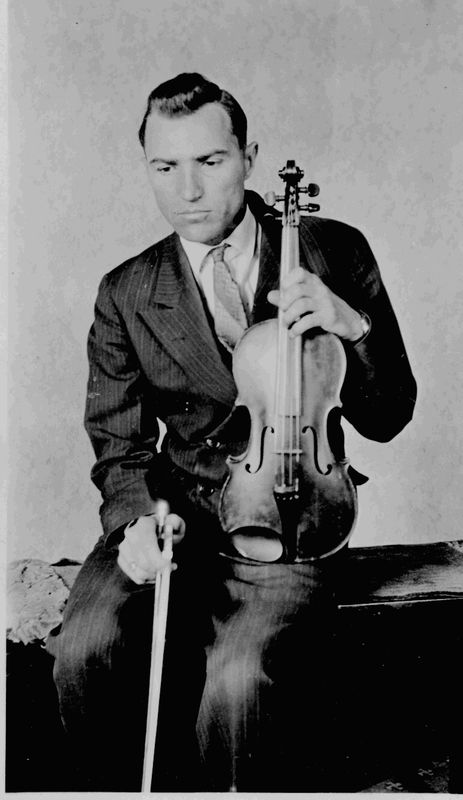 I was most interested in the older fiddlers who originally mentored young Elmo: Andrew Wick; Edward Wick; Olaus Jorgenson; Gilbert Rime; Otto & Vernie Henschien; Ole Flolo; Haaval Wiig; Elling, Ole, Henry, Edward, Clarence & Oliver Sagedahl; Ole Erickson. That doesn't mean they were any more significant than: Cliff Gandrud; Carl, Harris & Ken Amundson; Herbert & Arlan Erickson; Henry Gafkjen; Reuben Pederson; Ole & Viola Kjeldahl; Cliff Hanson. These are the people Elmo befriended, or learned about later in life. The point is that they all played a role in his life's work. When you drop a pebble into water you never know how far the ripples will extend and what their effects will be. 6) What did you most learn from your research or your biggest takeaway? I learned a lot about a place I have called home for many years. 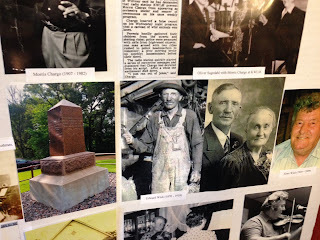 I finally got to see the Kensington Runestone at the Runestone museum in Alexandria, visited the Olaf Ohman farm in Kensington, saw the Acton Monument where the Dakota War started, climbed up Inspiration Peak of which Sinclair Lewis wrote (and guilted a few Minnesota governors for not having visited it themselves). I played fiddle in Fort Alexandria during History Live weekend. But the coolest thing was playing a hardanger fiddle at the HFAA workshop in Dodgeville, WI, whereby I carried out my role in helping to keep an old art form alive. So, everybody keep practicing and playing your music because some day, a century or two from now, someone might be researching us.